Dr Tony Callaghan who recently completed his PhD at IBERS is helping to secure a clean water supply in earthquake stricken Kathmandu in Nepal. 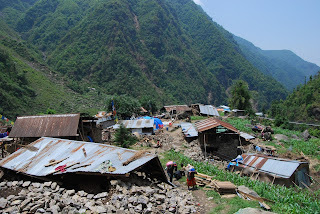 Four Arche Nova water engineers are working with local community groups and individuals to build and repair damaged water purification systems, and to install a filter system to supply the main hospital in Bidur, the capital of the Nuwakot district. Côr Meibion Llanelli (Llanelli Male Voice Choir) will be holding a special concert with The Three Welsh Tenors at the Selwyn Samuel Centre on Sunday, July 12. And they will also be joined by some extra special guests – Llangennech Junior School Choir - Ysgol Iau Llangennech. The school choir performed admirably in the BBC Songs of Praises to deliver a "faultless" performance to come top in the junior school choir category. It was a victory for Welsh choirs as well, as the Llangennech pupils were the only performers in the final to come from Wales. The Three Welsh Tenors will have their work cut out at the big concert on July 12 as the Llangennech pupils will be doing their best to outshine them. The Three Welsh Tenors are three distinct and unique voices which complement each other perfectly. I DIDN’T CHOOSE TO HAVE SO MUCH CHOICE. 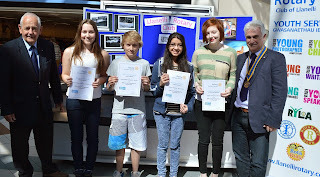 There was a clean sweep for Bryngwyn Comprehensive School in the first ever Young Photographer competition organised by Llanelli Rotary Club. “There was a very high standard of entries and the judges were given a very difficult task,” said competition organiser Rotarian Jeff Wheeler. The winner in the Senior Category (14 to 17 years old) was Lucie Emily Wiltshire. The runner-up was her Bryngwyn schoolmate Abeera Sohail. In the Intermediate Category (11 to 13 years old) the winner was John O'Brien. The runner-up was his Bryngwyn colleague Brooke James. The theme of the competition was ‘Light Up Your Community’ and the event was part of a national Rotary competition, with the winners progressing to regional finals. The judges were Peter Owen Jones, professional studio photographer, Thomas Street, Llanelli, and Peter Evans, a member of Cefn Sidan Rotary Club and a former chairman of the Trostre Camera Club. 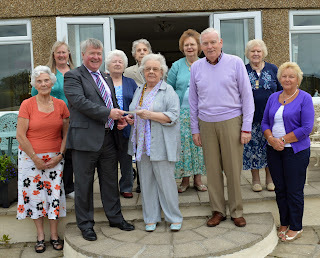 The Llanelli and District Talking Newspaper for the Blind this week celebrated its 1000th edition. Robert Lloyd, the chairman of the Llanelli and District Talking Newspaper Association looks back on the origins of the service. In recent years, we’ve had to cope with some very sad unexpected ‘resignations’ from the Llanelli Talking Newspaper – Monro Walters, the Very Rev Kerry Goulstone and Norman Lewis, to name a few. But, by way of tribute to them and the others who went before them, the work of the Llanelli Talking Newspaper goes on.